George Read's life spanned between September 18, 1733 and September 21, 1798. Besides being a lawyer and a revolutionary politician in New Castle County, Read was a Continental Congressman, a delegate to the 1787 U.S. Constitutional Convention and the President of Delaware under the Federalist Party banner. Reads participated in the singing of the Declaration of Independence besides presiding over the state of Delaware as Chief Justice and Senator during his public life years. Read was the son to John and Mary Howell Read. He was born in Cecil County, Maryland. His father, a wealthy English immigrant, relocated to New Castle when Read was still in his infancy and was instrumental in founding Charlestown in Maryland Cecil County. The future lawyer and politician had the opportunity to meet Thomas McKean at Francis Allison's Academy in New London. He was admitted to the Bar in 1753 and returned to New Castle Delaware to establish his practice. Read married Gertrude Ross in 1763. Ross was the daughter of New Castle's Anglican reactor of Immaculate Church. Read and Ross got five children amongst them Mary who became Delaware Governor's, Gunning Bedford's wife. The other children making up the family that lived in the present day Read House and garden owned by Delaware Historical Society included George Jr., John and William. The family attended Immanuel Episcopal Church. John Penn, then the Proprietary Governor of Delaware, appointed Read to the position of Crown Attorney General in 1763 where he served under different capacities before taking office in the Continental Congress in 1774. He also rendered service to the Colonial Assembly of the Lower Counties between 1764 and 1776. Delaware's political landscape in the 18th century was dived into factions referred to as Country Party and Court Party. Court Party formed the majority and comprised of Anglicans in Sussex and Kent Counties. This faction collaborated with the colonial masters and advocated for reconciliation between Americans and Britons. The minority Country Party on the other hand stood for absolute political and economic emancipation from the British. Reads led the Court Party and constantly got caught in ideological and political augments with Caesar Rodney and Thomas McKean. Read's efforts to reconcile Britain and America were seen in his opposition against the Stamp Act and the anti-importation regulations. He was nonetheless elected in Continental Congress to serve alongside Caesar Rodney and Thomas McKean between 1774 and 1777. He joined efforts in establishing American legal and political foundations after 1776 despite his previous stand on American-British relations. The adoption of the Declaration of Independence on the 15th of June 1776 broadened Read's career in politics and law as he was elected to the convention mandated with the drafting of Delaware's Constitution. He became the convention's president and worked with Thomas McKean in getting the draft constitution adopted in 1776. Read constituted the first Legislative Council of Delaware General Assembly where he became the Speaker between 1776 and 1778. The career politician was in Philadelphia during the capture of President John McKinly. As the President of Delaware, he is remembered for his efforts directed towards recruiting soldiers to protect the state from invading British forces. Caesar Rodney replaced Read as the state's president as he went back to serve in the Legislative Council between 1778 and 1779. His return to the Legislative Assembly followed a year of ill health and he served between 1780 and 1783. Read's political career fire rekindled in 1786 when he represented Delaware at the Annapolis Convention. He later advocated for the formation of a national government and adoption of a new constitution. His vision for the abolishment of states and setting up of a central government was fuelled by his dream to see a bigger more competitive country capable of abolishing poverty and resolving inter-state disputes. 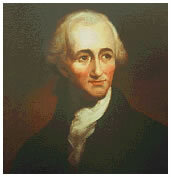 The passing of the Federal Constitution in 1787 gave Read a chance to serve in the U.S. Senate between 1789 and 1793. Though Read resigned from his Senate post he is remembered for his support for assumption of member states' debts, setting up a national bank and excise taxes imposition. These formed some of pertinent economic issues during George Washington's regime. Thus, Reads vibrant augments were missed upon his resignation to take up the post of Delaware Chief Justice. A position he held until his death.